Making a difference isn't always easy, but your organization is up to the challenge. 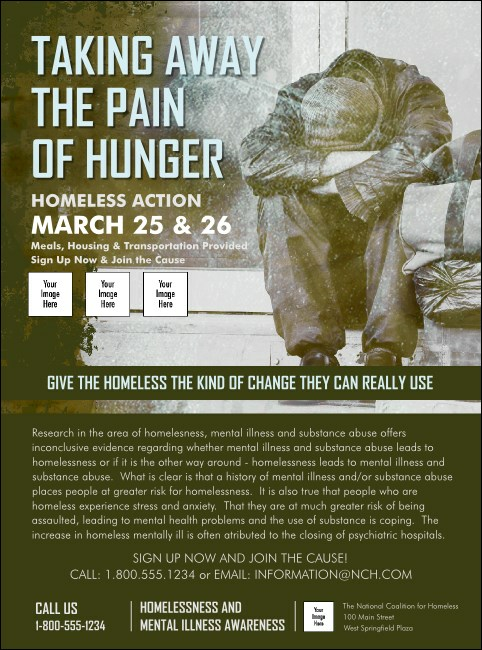 When you're ready to call a day of action or announce a charity event the Homeless & Hungry Flyer is a great way to bring attention to your cause. This flyer allows you to help others by providing space for your information. With room for three custom images on the template and a logo, you can feature your sponsors.